Toyota said Thursday it is eyeing Canada as a location to produce a new model, but wouldn’t divulge any details. News of the possible new production came on the same day the Japanese automaker announced that it is investing an additional $750 million (U.S.) at five U.S. plants, including the production of two hybrid vehicles for the first time at its Kentucky facility. Toyota’s moves follow GM’s recent annoucement that it was idling its Oshawa plant and four U.S. facilities amid declining demand for compact sedans. 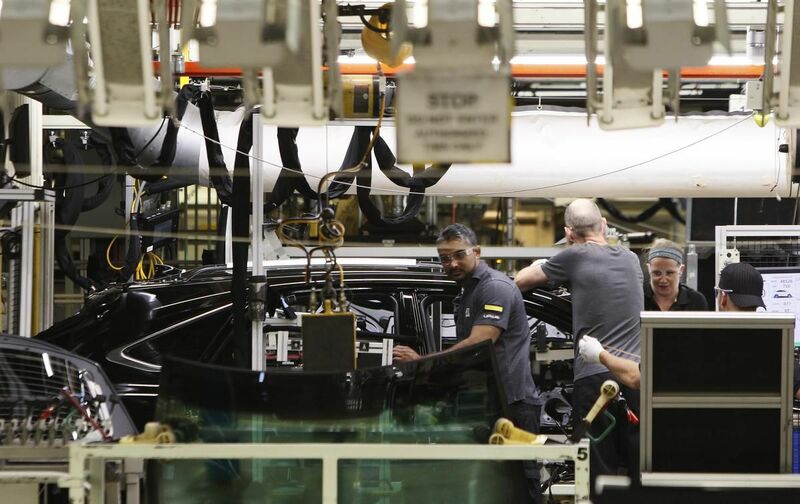 Toyota Canada last May said it would upgrade two Ontario assembly plants in order to build the next generation of the RAV4 crossover vehicles. “Toyota’s recent $1.4-billion investment in Toyota Motor Manufacturing Canada, including supporting funds from the provincial and federal governments, is helping us meet…growth in demand, and our plan has not changed,” Bouliane wrote in an email. He added that Toyota Canada is using full capacity to produce the RAV4 gasoline and hybrid models in Canada, calling the RAV4 the bestselling non-pick-up truck in North America. The $1.4-billion investment announced in 2018 retained 8,000 jobs that would have been lost when production of the Corolla was moved to Alabama. Toyota originally said its plan was to make Corollas at a plant in Mexico, but chose Alabama instead after reassessing the market. Toyota later announced that it would replace Corolla production in Cambridge with expanded production of the RAV4 sport utility vehicle, which also is assembled in the company’s plant in Woodstock. U.S. President Donald Trump had criticized Toyota and other automakers for taking auto production and jobs to Mexico, saying vehicles for the U.S. market should be built by U.S. workers. Toyota denied that Trump’s views influenced the decision to build Corollas in Alabama. The U.S. investment, meanwhile, marks yet another expansion of the Japanese automaker’s U.S. presence, bringing to nearly $13 billion the amount it will spend by 2021. The latest investments are at facilities in Alabama, Kentucky, Missouri, Tennessee and West Virginia. Those same facilities were part of a 2017 announcement by Toyota for a $374-million investment to support production of its first American-made hybrid powertrain. It also includes $288 million to increase annual engine capacity at Toyota’s Huntsville, Alabama, facility. The plant will add 450 jobs to accommodate new four-cylinder and V6 engine production lines. Last year Toyota and Mazda announced plans to build a $1.6 billion joint-venture plant in Huntsville that will eventually employ about 4,000 people.